YMAA Publication Center was kind enough to provide me with a copy of this eGalley through NetGalley for the purposes of reading and reviewing it. Although I received it at no cost to myself, I am under no obligation to give a positive review. Vincent is a Celtic warrior severely wounded in battle in the tenth century. He is then taken by Norse warriors on a long journey to the Middle East where he is sold as a slave. Near death, he is claimed by the Chinese monk Mah Lin and his daughter Selah. Vincent grows with them as he learns the way of the warrior-scholar, finding a new name, Arkthar, a new destiny, and even a new love. The story shifts between the Arkthar’s story and the story of the Chinese Supreme Commander who, for whatever reason, goes unnamed in this book, as do several other non-incidental characters. The Supreme Commander has a grudge against Mah Lin as the latter was chosen to enter a monastery, when both were young boys, instead of the Supreme Commander. The destruction of Mah Lin and all he holds dear becomes a focal point of the Supreme Commander’s life. The story builds as the parallel story lines eventually converge and then run concurrently to the climax. Along the way we have a year-long siege of a rebel outpost, Arkthar developing into a determined warrior-scholar, a countrywide outbreak of smallpox, and other smaller plot twists. This book is a thinly veiled retelling or furthering of the Arthurian legends. Even the blurb on NetGalley says as much. In case you don’t get the similarities, Vincent, prior to his name change to Arkthar, refers to Mah Lin as Merlin. Of course, Arkthar is not coincidentally very similar to Arthur. Overall, I enjoyed the book. The pacing could have been a bit better, but I like the creative spin on the Arthurian legends. Of course, as a lover of Asian culture, the majority of the book takes place in a realm I’m destined to enjoy, if done well. There were a fair amount grammatical or spelling mistakes, but I’m as apt to blame the editor for that as the author. Bottom line, it was a fun, easy read. 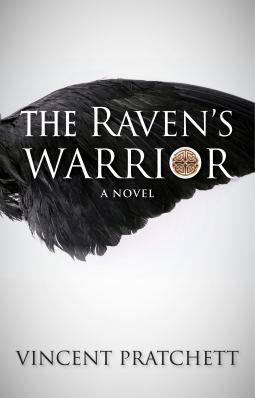 This entry was tagged Arthurian Legends, Asian, China, Fiction, Martial Arts, Review Request. Bookmark the permalink.